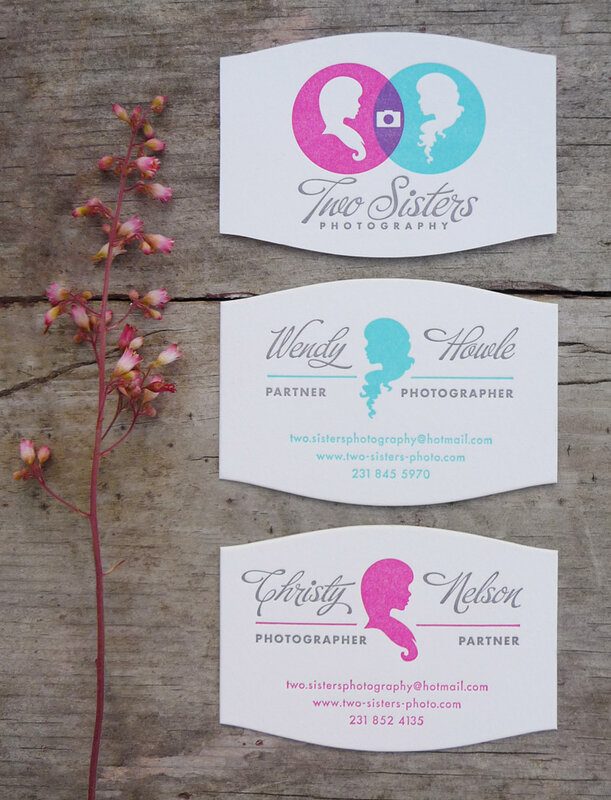 Wendy and Christie are photographers, sisters, and business partners. 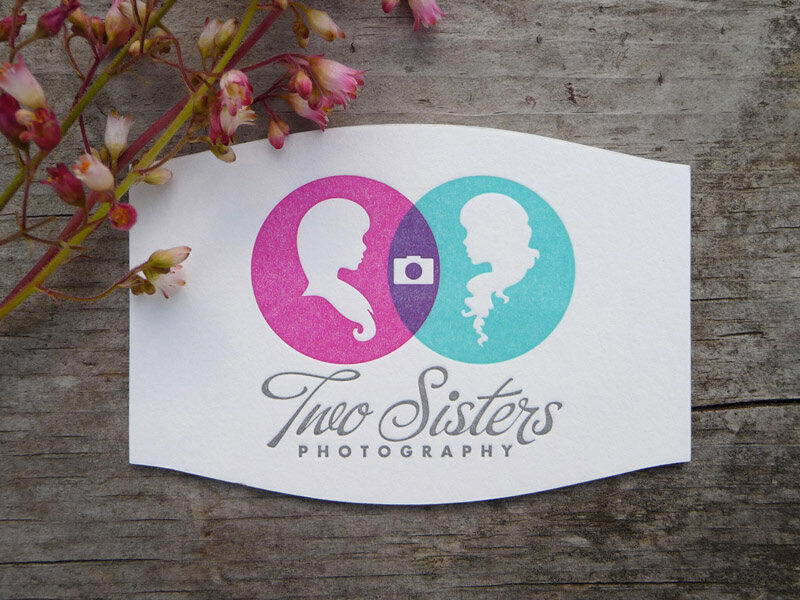 With so many overlapping qualities, we took inspiration from a Venn Diagram in creating their identity. 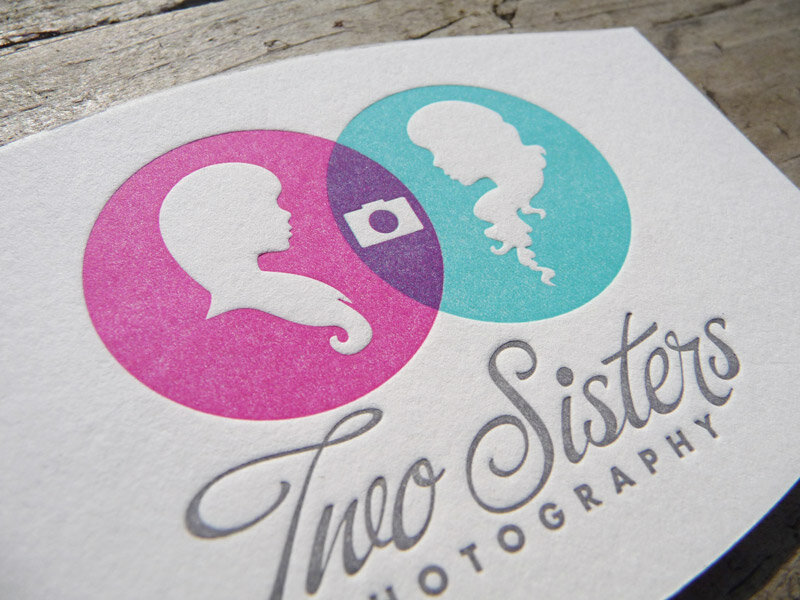 The cameo style silhouettes allowed us to showcase each sister’s unique style and personality through their profile treatment. 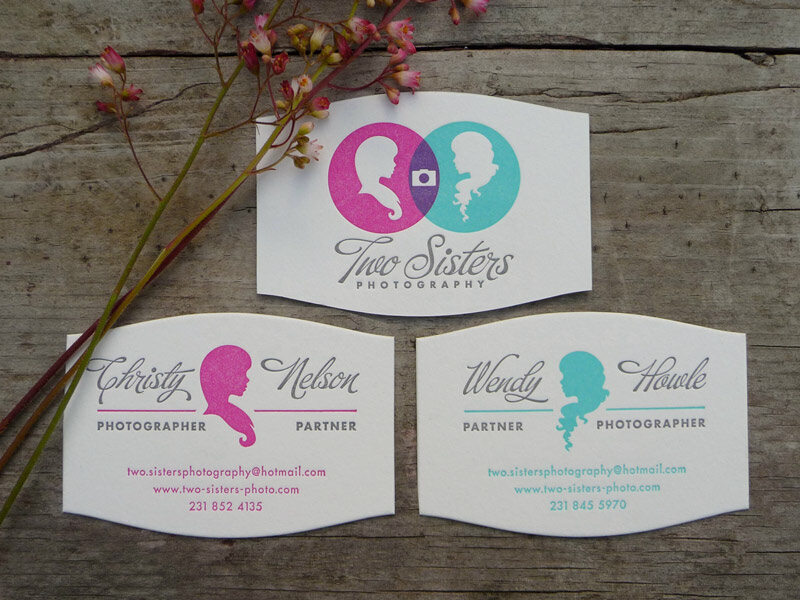 Our goal was to create an elegant and sophisticated look that fit the style of each sister. 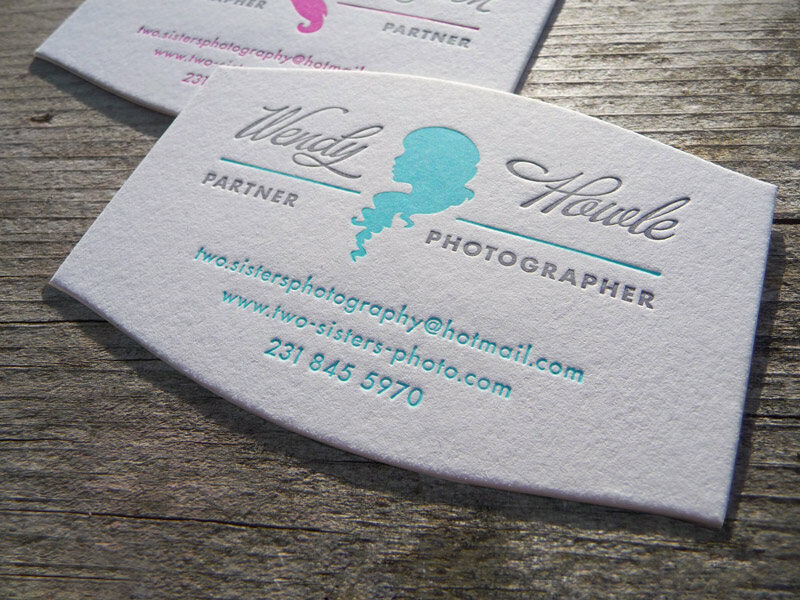 When designing cards for photographers, it pays to go all-out. The cards were letterpress printed with three Pantone colors on front and back using 220 lb Crane Lettra cotton stock for a substantial yet luxurious texture. 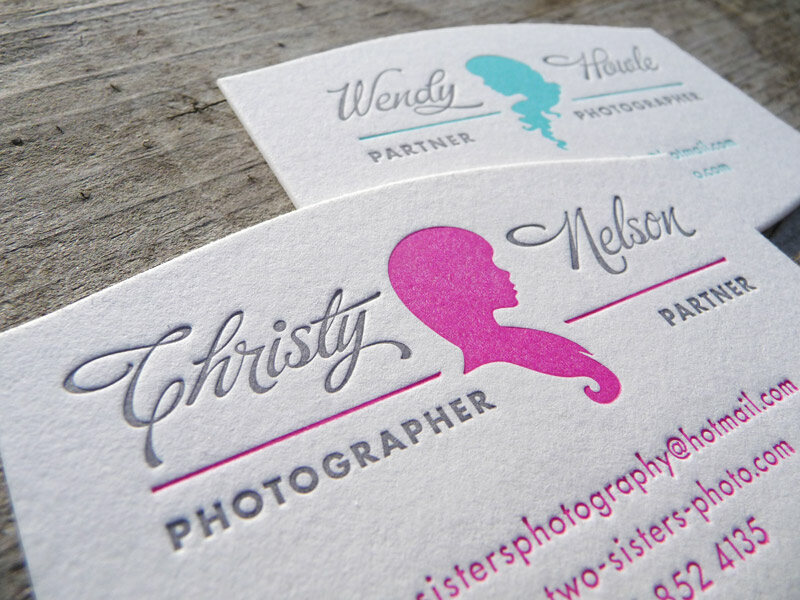 A custom die-cut shape completes the piece. We've noticed that people really like holding these cards! 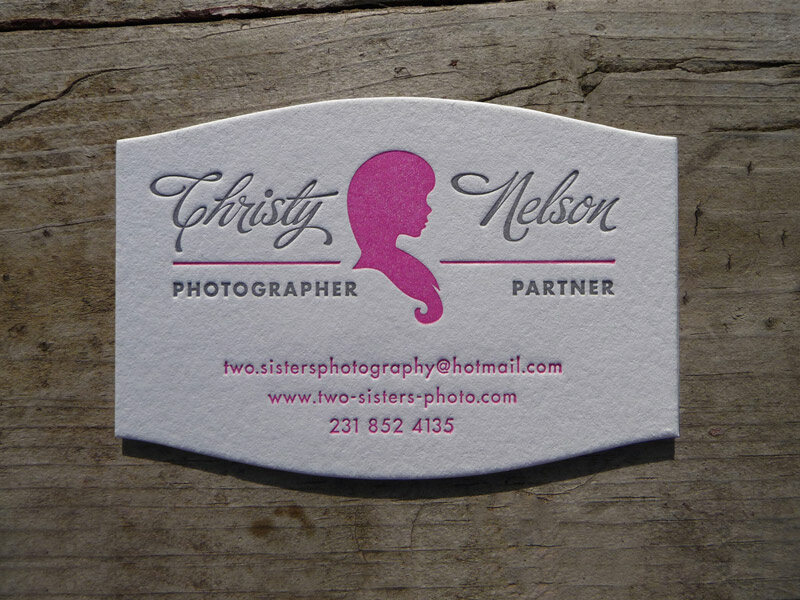 A big thanks to Cranky Pressman for our letterpress work.